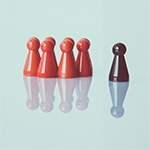 Connection requests focus on the quality of connection between people instead of on any particular strategy or solution. NVC practice is based on several key assumptions and intentions. When we live based on these assumptions and intentions, self-connection and connection with others become increasingly possible and easy, helping us contribute to a world where everyone’s needs are attended to peacefully. In this brief video, CNVC Certified Trainer and founder of the CNVC Parenting Project, Inbal Kashtan, offers a succinct and insightful overview for using Nonviolent Communication in your parenting role. In this brief audio snippet, CNVC Certified Trainer and founder of the CNVC Parenting Project, Inbal Kashtan, offers a profound insight that can change how we see and relate to our children. 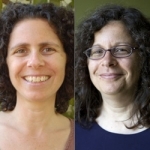 In this brief audio snippet, CNVC Certified Trainer and founder of the CNVC Parenting Project, Inbal Kashtan, explores observation in contrast to interpretation, and leads an exercise in observation. 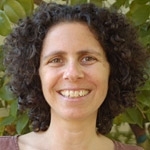 Please join us as we remember the work and life of Inbal Kashtan. She offered this parenting Q&A session in NVC Academy's 2013 Parenting Conference.